Thank you for the analysis of our soil samples. We acted on it immediately and will continue next spring when the club reopens. No sand was spread this fall for the first time in many years. Regular tining will be part of our green’s preparation next year. Just found out our club has been selected to host the provincial singles novice championships in September 2019. I don’t think this would have happened without your “long distance” advice. We have used compost tea, seaweed & molasses over the past two seasons. For the first time in 28 years we had no disease .This is due to dispensing with chemicals& following the guidance of Bowls Central. This year we have changed how we carry out Autumn renovation. Following verti-cutting we hollow cored to 30m/m & left the risings on the surface for one week. They dried out so we used our two Dennis mowers without the grass boxes to chop up the risings.This was successful & we then removed the grass & thatch leaving a light covering of soil. This was switched & we were then ready for patch seeding. We used about half a bag of Johnsons Sport seed to deal with bare patches & parts of the edges. We then lightly watered the seeded areas. A few bird scarers were placed on the green using old C.D discs on a string line supported by sticks. The total cost of this years renovation work is one bag of seed. Over the past year we have saved £ 2,000 by using non chemical applications & not applying top dressing over the green. Our next move will be to have a soil analysis through Bowls Central. We can thoroughly recommend the system described above. It is both labour & cost saving. just a few lines to tell you how happy I am with your site and all the information it contains. I have just bought and received the breakdown of your soil analysis…wow lots to go through but what a very thorough and detailed report. Also bought the compost tea kit just finished the first batch it is very easy to brew and use already seeing the vigourous growth coming through. Sowe at the Bowls Club contacted a green specialist company who came to inspect it and quoted us £10,000 to rip it up and start again, We could not afford that so as a result I searched the internet and discovered John Quinn’s Website and subsequently formed a small team of club members to maintain the green ourselves. We had a soil analysis done via John and discovered our green is also 93% sand – due to many years of top dressing, which is now discontinued. Since March 2017 we have been maintaining the green entirely in accordance with John’s instructions based on a week by week year-long program which he produced. The ground staff now only cut the grass and we do the rest. We knew absolutely nothing about green maintenance when we started and so we have stuck rigidly to his program of maintenance. This comprises the application of organic products including Compost Tea, Biobooster N, CMS Shoot, Liquid Seaweed, Liquid Iron & Liquid Copper for moss control and Aquacept & Hydroaid for Localised Dry Patch treatment. Calcium Sulphate, Mycogrow Complete and “Caviar” are applied in the spring. I stress that green restoration is a marathon rather than a sprint so don’t expect instantaneous results. However the the most obvious initial outcome was that the compost tea applications encouraged the fine grasses and saw off the ryegrass. Regular tining with a Groundsman Aerator and Sarrel Rolling have accompanied the compost tea and other nutrients applications. My advice would be to read and generally digest John’s ebooks and close your ears to all those sceptical “experts” within you own club and indeed from many other clubs. I stress it is not all plain sailing because, as I am sure you are well aware, a bowls green is a living beast with mind of its own and problems will occur. For example we had heavy outbreaks of moss following the wet spring and areas of localised dry patch with the long hot summer, both of which have been substantially reduced with John’s guidance. I cannot praise him highly enough as when problems do occur just drop him an email and add a photo, if appropriate, and within hours (sometimes within minutes) he will be back with a suggested course of action. With the wet spring and the long hot summer we have seen some truly awful greens this year. By comparison we have a huge sense of pride at our club as visiting teams compliment us on the quality of our green – especially those who remember what a disaster it was only couple of years ago. I would add that the Head Groundsman although initially sceptical at John’s methods is now full of praise for the current state of the green. I have added some photographs of an area of moss (which is also an LDP) taken in May after prolonged wet weather and the same area taken just 4 days ago. I have also included one of the green as a whole. The photos speak for themselves and I remind you that it was described as ” Unfit for purpose and beyond redemption” just 20 months ago and only organic materials have been applied to the green in the intervening period . So my advice is – stick rigidly with John and his program and have patience. Don’t let setbacks put you off and In my experience you will be amply rewarded. before , we have now stopped for the winter so hard work starts again, I have scarified 3 ways , over seeded, and used 3 bags of topsoil to cover any seeds that did not find aeration holes , the weather down south has been good so Saturday I gave the green a short water session for the benefit of the seeds . I have raise the cut height to 8mm and intend to give a light scarify after xmas , I take soil samples monthly and adjust as necessary with whatever is needed. After devouring all the information and following your advice I have members coming to me and saying the green has never looked better or played better! Some of these are the ancient stalwarts who have been members for years, visitors are also full of praise. Woods are rolling smoothly and the pace is good, not lightening fast, but a decent speed, occasionally it does go a bit rapid when very dry, but thats not often in this part of the world! We have a good density of grass coverage. All in all I feel that my first year looking after the green has been a success, so wish to thank you for your help and advice, I’m continually dipping into the website picking up bits and pieces! Attached pic of part of the green, this time last year the area to the right bottom corner was thinly covered with grass and lots of patches, this year as you can see it’s OK. Thanks once again for your help with my success. We have found the Website easy to use and easy to update and are very pleased with it. 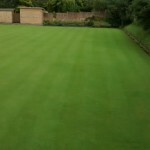 “Bowls-central provide a simple and professional service for club website design. After the site was designed John set us up with a simple template to help with updating the site. Updating is as easy as writing an email or word document. This new website has enabled us to advise members of the progress of the club relocation, the building of the new green and to keep the local community and other bowls clubs whom we deal with up to date with what is going on at Burghfield Bowls Club, and of where we are! We believe our website is now one of the most informative, and modern websites out there. It is a focal point for our fixtures, leagues, club competitions and gallery of our move and successes both on and off the green. Also, with our club name in the URL, we are easily found through most web search engines. We are certain bowls-central have played an essential role in making Burghfield the club we are today. John: This is the first time I have encountered your marketing and I have to say I think it more than just essential – it should be compulsory. I am a journalist / veteran bowls writer who believes in communication yet my club has a President who thinks computers and email are “new fangled rubbish” and trying to get stories in the media is a waste of time. so there is no reason to go to the club during the week except to drink or play the pokies (not very many do). In writing my recently-published book Life & Soul of Bowls Downunder, I visited more than 50 bowls clubs around Australia and I was amazed at some of the ingenious ways clubs have found to keep in touch with, and encourage, their members. After haranguing our committee (Benowa Bowls Club) they wrote and told me I was appointed as “media consultant” despite the fact, the constitution has provision for a “Publicity Officer” – as you will know, a totally different role. I hope your advice covers the issue of communication, the sport needs that badly. re your Manifesto for a Successful Bowling Club advice. Somebody on the committee must be reading it. We successfully ran a Ladies Classic over three week-ends with a Junior classic for under 18’s along side our established Men’s event . A football team now meets every week here, we have teams in the local darts and crib league, a local Park bowls club wants to use our green next season and we have a slimming club meet here every week. There is going to be a charity invitation with the top 32 ladies and top 32 men pairing up for a local cause. All in the last few months. When our club members had to take over the maintenence of our green in March 2008 we continued to top dress. 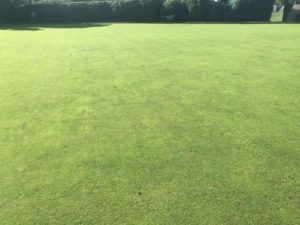 At this time and in spite of previously having engaged a greenkeeper for some considerable time, the green had deteriorated to such an extent that several top bowlers were declining their invitation to take part in our annual classic event. 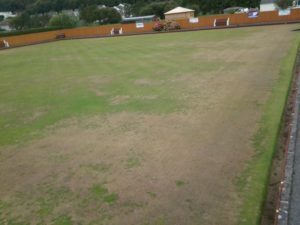 With LDP,sqidge and slime, moss and anaerobic soil ( the green Stank ) we were desperate for help.Two seasons ago because of financial problems and in line with the advice obtained from John’s book Performance Bowling Greens, we stopped top dressing. We were heavily criticised by many members whose collective wisdom was that the green would suffer if we did not carry out this task. One look at the green told the four of us that it would be hard for it to get much worse as by this time large areas of the green were grassless. For the last two seasons we have not top dressed and used some of the money saved to carry out other parts of the maintenence work which obviously with hindsight had not been done properly and were rewarded at this years “Classic” with very positive comments about how well the green looked and played compared to 2010 by the professional players. There is still a way to go yet but hopefully, we are getting there. Our club is struggling to make ends meet at the moment. We have some garages next to the club which we let out and which are a small source of income. At a club meeting an offer made for them was roundly rejected. Last month two local councillors were seen on the green one morning. When the committe were asked about this, they were a bit evasive but one of the veterans who helps to look after the green knew one of them. When he got the chance he asked what was happening and was told that the council had been asked about planning permission to erect houses where the garages were. In the course of this visit they were also asked about the possible use of the bowling green for building purposes. They informed the club!!!! that they would not even consider the use of the green for anything other than its present use as we are in a fairly densely populated area of housing with very few green spaces. It was nice to find that not all local councillors are trying to “concrete over” our green spaces. When the committee member was then challenged about this matter, the response was that we had to cover all angles with regard to income. I’ve just found this article “Eleven greenkeeping mistakes you don’t know you are making” and just shuddered. Looking at the list with the benefit of hindsight there was only overwatering that we weren’t doing and that was because we rely on rainfall. 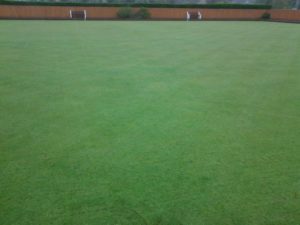 Five years ago at our AGM in March the Bowls Section were told that the club were struggling financially and that the greenkeeper had been let go the previous September. If we wanted to carry on bowling, we would have to maintain the green ourselves. Four of us “veteran” bowlers agreed to do this in spite of none of us having any experience whatever. After all, we had a mower didn’t we? And this is when the “fun” started. Every man and his dog had an opinion on what steps we needed to take. 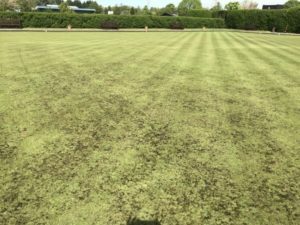 “Someone” knew a man who had done “something” with bowling greens and before we knew it, he was meeting us at the green and within an hour we found that we had localised dry patch, thatch, moss, needed to reseed small areas of the green and it needed fertilising. However, we weren’t to worry as he actually worked for a firm that sold all our requirements. He looked at the pitiful array of tools we had and enthused about the mower which he declared to be the “dogsbollocks.” So, we decided to mow the grass. Where to plug it in?? It was petrol!! Eventually we got it started and worked out how to get the blades going as well. And so four men went to mow (went to mow a meadow). Nice straight lines were to be the order of the day, and so we were off, literally as the mower had been left in Rabbit mode instead of Tortoise. We shot off across the green like an olympic relay team desperately trying to hold on to the mower and leaving a beautiful wavy line in our wake. Considering that our combined ages were 264 years we reckoned we had covered the 35 yards in a very creditable time. After we had cut the green three times, we knew that something was badly wrong with the mower. We were told that the blade was set at an angle, was blunt and was cutting at 3mm which explained the scalping and uneven cut. 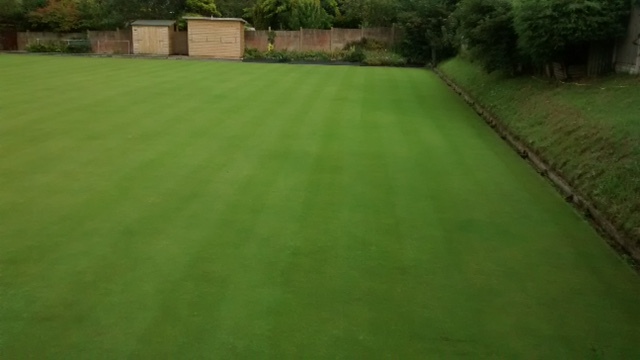 Myself and my Club Kearsney Bowling Club have a lot of faith in John Quinn and are building our green improvement scheme around his book ‘Performance Bowling Greens a Practical Guide’ which was purchased by the club for our grren keeper and playing member Graham Perrinn. Bowling Club Survival and Tournaround eBook is just the guide for clubs to get a grip of and encouraging new members to come to the club. It will also once, the project is up and running, show to club members, in laymans language, how the club is running, what we can do to improve our image and how and where the money is distributed to make it a Club others will want to join. Thank you John for all the information you distribute amongst us willing Club Officers and Green keepers to make the game of Bowls continue into the future. Just a line or two to thank you for some wonderful advice on bowling greens.I have recently been appointed greenkeeper at Sutton Coldfield Conservative Club.I have 38 years experience of golf greenkeeping but your advice has been invaluable.When i took over,the green was in a pretty pathetic state.But,with lots of work and manhours,it is turning around pretty well.It is good to know that there are people around that can offer their advice for free and are willing to help in this wonderful profession.I have a question for you:-What can i do about squirrels/cats/rabbits digging up my green?i repair their scrapes twice a week,add animal repellent to each repair,but they just return and dig somewhere else.Obviously,we can’t afford to spray the whole green(1800 Sq metres) so do you have any ideas? Thanks once again for all you do for us novice bowling green guys. I have followed your advice for the past four+ years and in this time have not put an ounce of top dressing on the green. 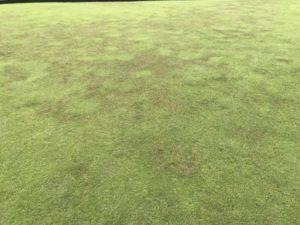 The green was in a poor state when you first visited, with compaction, dry patch, and all the other problems associated with excessive top dressings (advised in the main by golf course greenkeepers who had been employed as our consultants) which had been applied annually for almost 15 years. What a difference there has been on the green: Gone is the dry patch; compaction is normal (after a busy year); disease is non existant; the speed of the green is much improved with a firmer surface to play on. Having the soil analysis done has given us a thorough examination of where our green is a this moment in time giving us a base line to work from. We were also given a program to work from and a list of materials required to meet this program. In the past we have relied on the recommendations of a salesman from a reputable company and we have followed past practices. I am not saying they were wrong but the club believe the way ahead is to follow a program based on a soil analysis. We accept where we are at the moment but we feel a lot more confident that we will turn the green round through hard work and expert advice. We also benefit from Johns experience and after sales service which we have found very beneficial.